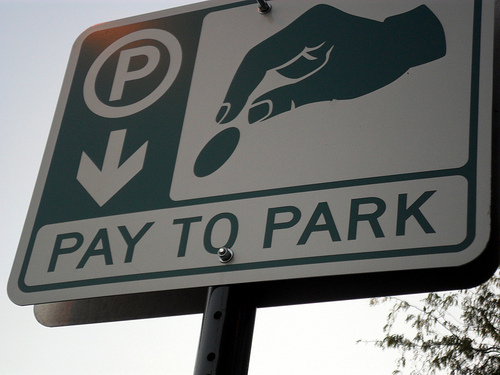 Just How Much Money Do Paid Parking Lots Make? Do you ever walk past a parking lot loaded with parked cars that had to pay to park their cars there? Did you ever find yourself counting the cars and looking for the price to park in that lot? These people have to be getting rich just by letting you park in their lot for one day! Let’s do the math then: If you have space in your parking lot that can hold two hundred cars and you charge every car ten dollars a day to park in the lot that is $2,000 per day! If you stay open seven days a week that is $14,000 a week! Why aren’t we opening a parking lot? What sort of expenses are you going to have? You’ll have to pay the parking attendant eight or nine dollars per hour and then you have to pay taxes on that lot, most likely you’ll need insurance as well. Maybe you’ll want a small house for your attendant to sit in on cold or hot days so that’s going to cost you a little bit but it’s only a one time deal and then the electricity in the house for the attendant because we have to make him happy so let’s knock off $5,000 a month. You are still going to be ahead because monthly you’re going to be making $48,000. You are going to need to find a parking lot in an area that needs a parking lot so you are sure you are going to bring in all this traffic. Find yourself a parking lot, call an asphalt paving company and let them put asphalt down and give your parking lot a nice clean look. You can have the asphalt pavers come every six months or every year, depending on how clean you wish to make your parking lot and having them repave it for you. If you are lucky enough to find a parking lot in New York City you’d be a multi millionaire in no time. Do look near trains or bus stations because you will get the traffic of the people that don’t wish to drive their car into work and want a safe place to park it all day so they’d pay you to keep their car safe from harm. With all this money you are bringing in you are going to be able to open a few more parking lots so always listen for any parking lots that are in a good location and are for sale. Parking lots are money making deals. Once you get your flow of traffic come in, and you are turning customers away from your parking lot, it is going to be time to up your price on the parking spaces. You will see that everyone is going to be willing to pay your price just for peace of mind as to where they parked their car for the day. Don’t go over board on raising the prices but make it a slow process. Everyone will pay.